The cost of living in Los Angeles is quite high, in fact, it's the 2nd highest in the country, closely following New York according to the Economist Intelligence Unit's Worldwide Cost of Living report released in Mar 2016. It can be a challenge to find reasonably priced accommodations, restaurants, and services in this city. It would be best to negotiate allowances or a higher salary with your employer before you move into Los Angeles to ensure that you would have a good standard of living. There are various neighbourhoods all around the city. The west side of the L.A. is where more affluent expats live. A one-bedroom apartment in that area may cost about 1,500 USD on a monthly rental basis. Neighbourhoods in this area include Burbank, Encino, Sherman Oaks, Reseda, Van Nuys, and Granada Hills. 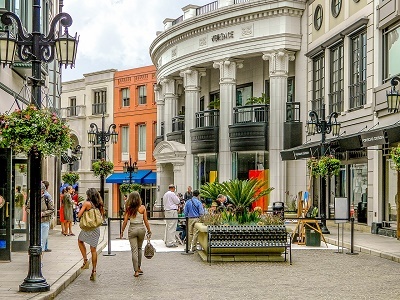 Housing in the San Fernando Valley area is also popular for people just moving into L.A. Its accessibility to restaurants, cafés, malls, and bars provides a good and convenient way to soak up the local culture without going too far from home. It is also relatively safe, and the landscape is beautiful. A one-bedroom apartment in this area may cost around 1,200 USD while a two-bedroom may cost around 1,300 USD both paid on a monthly basis. Eating in Los Angeles is an experience. From traditional American diners to posh French restaurants to Chinese takeout, you can find anything and everything at all to whet your appetite. For an expat on the lookout for the best and the cheapest eats in L.A., you may want to periodically consult L.A. Weekly, where Jonathan Gold publishes a comprehensive review of L.A. food finds. A meal in an inexpensive restaurant can fill up your rumbling stomach for 11 USD. A mid-range meal for two would cost around 35 USD. But a fast-food meal is something you can't resist, where a meal can cost around 7 USD. Most expat families would prefer doing the grocery and cooking at home, though. You may visit Trader Joe's which sells many organic products. Health buffs may also check out Whole Foods for their fully stocked salad bars. A litre of fresh milk in supermarkets may cost about 1.81 USD, a loaf of fresh bread around 2.80 USD, and a dozen eggs would cost about 2.59 USD. If you find the need for fresh cheese, mini-groceries and supermarkets have them for 8.00 a kilo. Behind L.A's laid-back ambience, the city of angels is a bustling metropolis. Getting around the city may not always be as smooth sailing as you want it to be. The best way of going places in the city is by renting a car. That may require you to learn the intricacies of the city's freeway system, though, and you'd have to be ready for a daily slew of traffic jams. If you prefer to take public transit, the city's bus system is operated by the Metro, and you can visit their website or call 1-800-COMMUTE to check the bus schedules. Neighbouring cities like Santa Monica also have the Blue Bus which also services Westside Los Angeles districts like Brentwood, Westwood, and Venice Beach. The fare is at 1.25 USD per boarding, while a day pass costs around 5 USD. If you find yourself travelling by bus more often than you can purchase a weekly pass for 17 USD. Travelling by Metro Rail is also another option. It allows you access to many beautiful spots and neighbourhoods in L.A. like Downtown, Little Tokyo, Koreatown, Los Feliz, Thai Town, Hollywood, Universal City, North Hollywood, Chinatown, Pasadena and Long Beach. The fare for the rail system is the same as bus fares. A monthly pass on the Metro Rail costs 62 USD. Keep in mind that utility costs are not included in your monthly rent. You would need to apply separately for electricity and water services. You can log on to the Los Angeles Department of Water website to activate your electric and water services online. Internet and landline phone services mostly come as ‘bundled' packages. Vonage is one of the recently popular phones and Internet service providers in L.A. Their monthly package may start for as low as 14.99 USD. Cable television is also provided by reputable companies such as the Los Angeles Cable TV Access, Time Warner, and Insight Communications. They also offer packages which would include broadband access and phone service. The average cost for these basic utilities per month would be around 115 USD. The expat life in the city of angels can be heavenly, in the pocket that is. You just need to make the right choices.